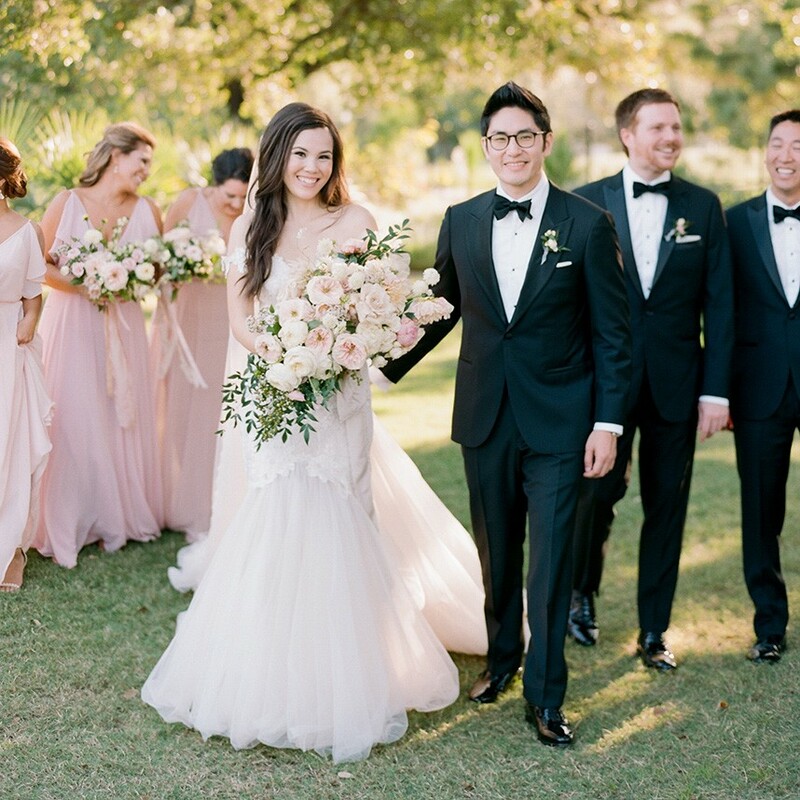 Selecting a clean, neutral color palette and the sprawling River Oaks Country Club as their backdrop, Katie and John’s elegant country club wedding felt nothing short of a classically regal fête. 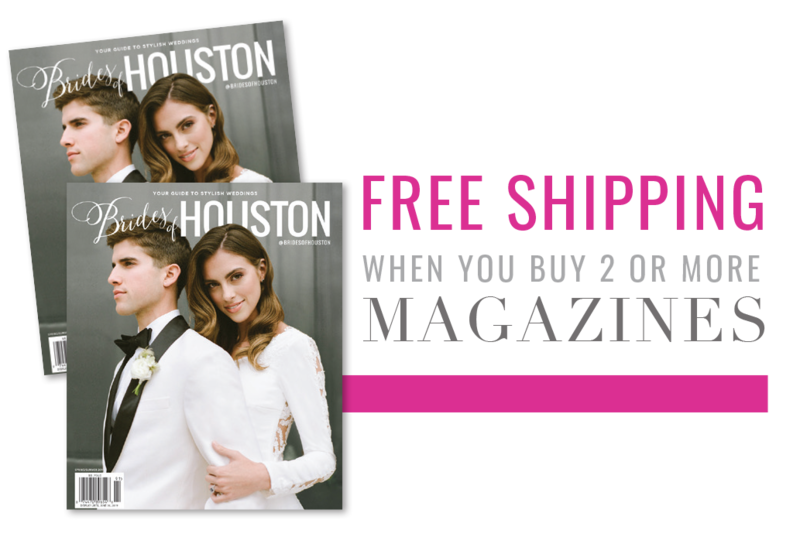 Josh & Dana Fernandez Photography captured all of the evening’s happy moments both indoors and out, taking advantage of the country club’s European architecture and the ballroom’s natural light. 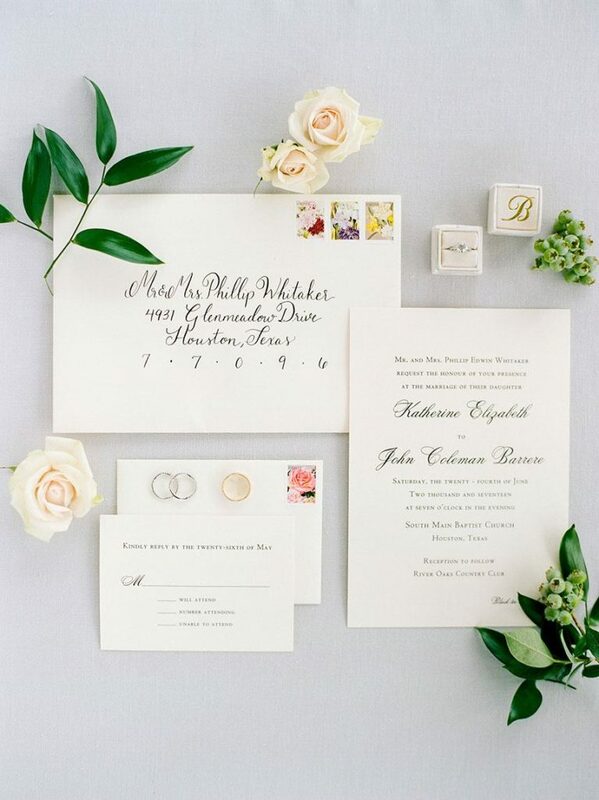 Florals from Maxit Flower Design kept with a feminine yet minimal color scheme in bouquets and arrangements of ivory, white and blush hued roses, peonies and hydrangeas. True to the overall aesthetic, Hey Lovely Makeup made the bride look stunning as she walked down the aisle in a gorgeous lace overlay strapless Oscar de la Renta dress from Joan Pillow Bridal, while her maids looked prim and pretty in taupe colored gowns in varying necklines.